It won't be the usual air show expected, but a reduced event dedicated to the 85th Anniversary of "Challenge 1932". It will include a dynamic show with over 70 planes and helicopters, a big parade with more than 60 aicraft and a static display with more than 50 aircraft. After various disputes between the Polish Armed Forces and President of Radom city, the Radom Air Show 2017 is confirmed on August 26 and 27. It will be an event dedicated to the 85th Anniversary of "Challenge 1932" in which the polish pilot Franciszek Żwirko won the International Tourist Plane Competition. 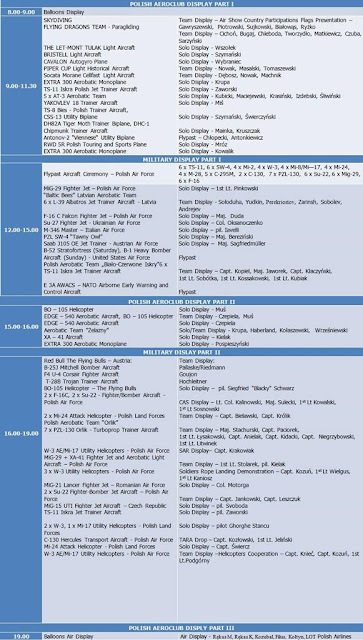 Many aircraft have confirmed their presence at the show, for instance: Polish Aerobatic Team “Biało-Czerwone Iskry” and Latvian Aerobatic Team “Baltic Bees”. We will also see civil aviation groups, such as: The Flying Bulls, Cellfast Flying Team, Formation Flying Team, Aerobatic Team Żelazny. The public will be able to admire the aircraft not only during flight but also closely on the static display, which will be enriched by the civil aircraft equipment and historic planes: RWD 5R Polish Touring and Sports Plane, THE LET-MONT TULAK Light Aircraft, YAKOVLEV 18 Trainer Aircraft, Antonov-2 "Viennese" Utility Biplane, DH82A Tiger Moth Trainer Biplane and DHC-1 Chipmunk Trainer Aircraft. There will be also some aerospace industry aircraft, both civil and military. 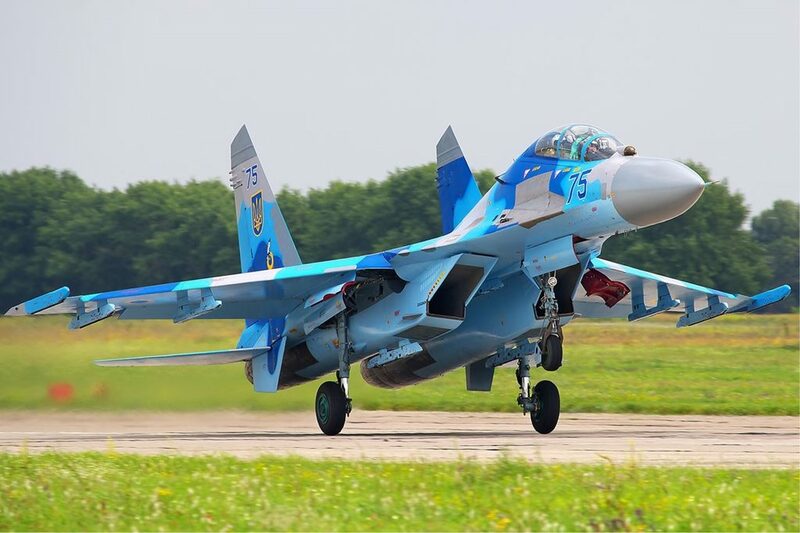 Spectators will have a chance to observe many Polish Armed Forces aircraft, like: MiG-29, Su-22, F-16, C-295, C-130, M-28, TS-11, PZL-130, SW-4, Mi-2, Mi-24, W-3, Mi-8, Mi-17, Mi-14, W-3 PL, W-3, BSR Orbiter, W-3 SAR, G-550, SH-2G, Gulfstream 550 and foreign aicraft. Flypast Aircraft Ceremony: 64 aircraft and helicopters. Dynamic show: 76 aircraft and helicopters. Static display: more than 54 aircraft and helicopters. For military fans, there will be ground static shows prepared, covering equipment and armament of all Polish and foreign Armed Forces, including: Rosomak Wheeled Armored Vehicle, Leopard and PT-91 tanks, vehicle equipment with HMMVW, M-ATV, recognition combat vehicles BRDM-2, self-propelled air-defense missile systems POPRAD, radiolocation stations and rocket launchers, mine-sweeping robots, diving kits and accessories, unmanned submersible vehicles, recognition systems, paratrooper-airdropping equipment, observation equipment and tactical armament of special units. There will be 59 various pieces of equipment altogether. You will have a chance to observe modern military technology, as well as individual soldiers’ equipment, which usually unavailable for the public. The Polish arms industry will also be one of the exhibitor during this year’s show. Every single visitor of the Radom’s airport will see for themselves how much Polish and American arming has changed over the years. Historical reconstruction groups will be additional attraction of the AIR SHOW 2017. Every day of the show 10 hours of flying display were planned: from 9 am to 7 pm.